Stourbridge CC support general MTB riding (all year round) and cyclo-cross (winter only). 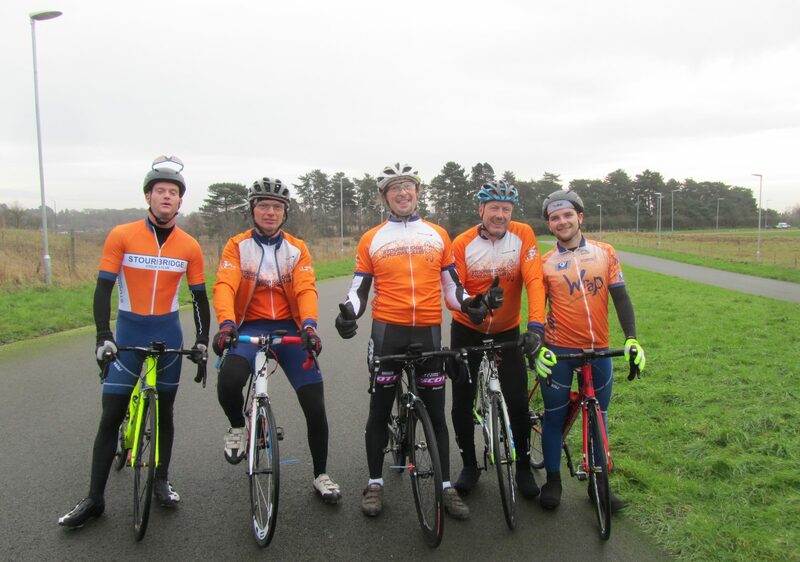 We have a thriving and active group that participate in weekly organised rides from Stourbridge, plus days out further afield and racing. Saturday, “A” Ride – 9.00am, start Bonded Warehouse, Canal Street, Stourbridge. •Brisk pace, suits riders looking for a longer, faster ride than the 9:15, however still with a strong team spirit i.e. help each other out and no one is left behind. • Different route each week, 95% off-road, possibly the occasional stretch of main road. • The ride aims to be back between 1300 and 1400; however this cannot be guaranteed given the nature of the ride. • All riders should be self sufficient for food and water; there will not necessarily be a cafe stop on this ride, check with the ride leader before setting off. • Under 16s must be accompanied by an adult, no under 14s. Saturday, “B” Ride- 9.15am, “Improvers Ride” start Bonded Warehouse, Canal Street, Stourbridge. • Push yourself a bit further and learn new skills. • Different route each week, 95% off-road, minor roads only. • Back between 1200 and 1300 depending on the groups experience. • Under 14s must be accompanied by an adult, no under 12s. Saturday, “C” Ride – 9.30am, start Bonded Warehouse, Canal Street, Stourbridge. • Easy social off-road ride. • Ideal for newcomers with some fitness and less-strong riders, or racers looking for an easy day! • Back between 12.00 and 12.30. Before coming on a ride please read this and understand our code of conduct. For days out to trail centres and other adventures keep an eye on the forum.